When this puppy was rescued, she was named Starfish because she could only lie flat like a pancake with her arms and legs straight out. But she was a fighter and really wanted to keep up with her friends and her family. She took their breath away when she kept progressing and was finally able to walk and then run. Starfish was left on the beach in a cardboard box, unable to stand or walk. Animal Control brought the disabled 10-week-old German shepherd puppy to the Friends of the Alameda Animal Shelter (FAAS). From an initial diagnosis that endangered her life to completing physical therapy, watch how Starfish faced a strange but common canine medical problem called swimmers syndrome. Starfish’s treatment was paid for by the FAAS Angel Fund, the not-for-profit shelter’s emergency medical fund for sick and injured homeless animals, which relies on donations from the public. Are you looking for a dog? Why not get a rescue dog? Try PetFinder.com. 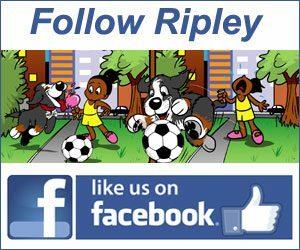 © 2019 All material within the Ripley The Dog website are copyrighted. All Rights Reserved. Michael J. Baines feeds about 80 stray street dogs in Chonburi, Thailand every day. The 48-year-old has been doing that for the last 5 years now. Baines provides them with a mixture of dry dog food, rice, oil, steamed fish, or chicken. Watch the video of Michael Feeds 80 Street Dogs A Day.